There’s no denying it- technology has reshaped the way the real estate industry functions. It changes not only the way people are buying homes, but how homes are selling. To maintain success, you should be aware of the tools available to you to help make your job easier. We’ve put together a short list of tech tools that your office should be using going into 2017. Who knows what kind of impact they will have on your team! No matter the size of your team, the best communication tool you can have is Slack. You can create different chat rooms for different facets of your business and add the proper team members to join. It can also be used to communicate with clients. Add them as a guest to your chat and share appropriate documents and pictures about homes. You can also take slack on the go, always keeping tabs on the latest in your real estate office. Many in the real estate industry may already be familiar with this dialing service. It takes a lot of the time and hassle out of prospecting for real estate agents. Mojo dialer can increase your efficiency, allowing you to reach out to more people in less time. It also makes it easier to focus in the office, increasing your productivity. If unfamiliar, Office 365 is a plan that gives access to Office applications through the cloud. This means you can access your business anywhere, always staying close to your clients and your calendar. It can even attach to other email accounts, letting you receive all your emails in one place. For more information on Office 365, read our blog post Why Small Businesses Should Switch to Office 365. To remain competitive, your real estate team should be focused on staying on top of the latest technology trends in your industry. 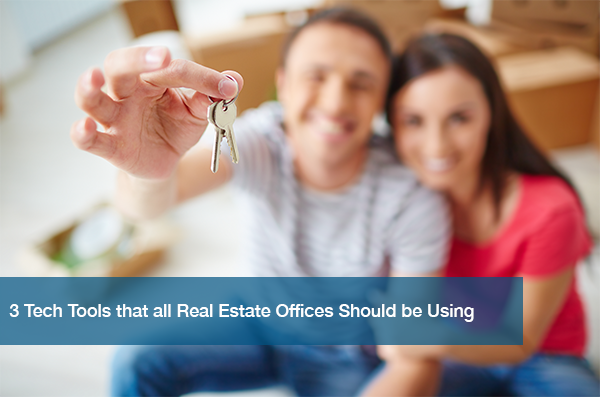 You want to do what’s best not only for your office, but for your clients! If you want to learn more about how your office can implement technologies in the workplace, schedule a free IT needs assessment with ITC today.